Permanently reduce unwanted facial & body hair with quick & safe treatments. 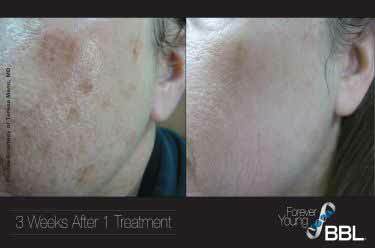 Clear up unwanted blemishes like freckles, acne, and age spots. Remove or reduce acne and acne scars for good. The only permanent hair removal method. Can be used with blonds. Turn back the clock with our non-invasive laser treatments. Our Dual Cryo has been FDA approved as the most effective non-invasive way to reduce fat and sculpt the body. When fat cells are exposed to precise cooling, the thickness of the fat layer is gradually reduced. The treated area gently eliminates the fat cells through the body's normal metabolic process. Cryolipolysis is one of the world's leading non-invasive, fat-reduction procedures. Millions of Cryolipolyis treatments have been performed worldwide. Each treatment takes 35 to 60 minutes. There is NO surgery, NO anesthesia, and NO downtime - so you can immediately resume your daily activities. Notice results in a few weeks, best results seen in 2-3 months. 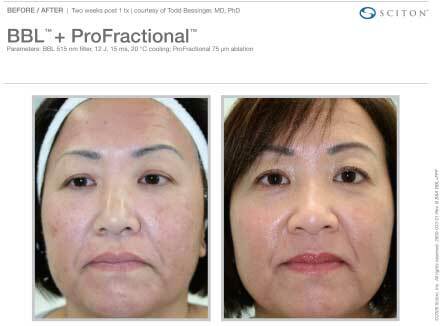 All before and after photos are actual patients, using our machines. Using leading edge technology, Cavitation converts fat cells into liquid which can then be naturally drained by the body's own natural filtration system. I love this clinic! I had amazing results and have referred everyone from my mom to my boss! There is a major difference between Laser Hair Removal and Electrolysis Hair Removal. The changes are dramatic. From dimpled, scarred, and discolored to smooth, fine, and evenly toned, BBL gives you the skin you've always wanted. Looking to get that unwanted hair removed in time for beach season? Which method are you going to use to get your summer body into shape?